2008 has come and gone and it was good year for me professionally, personally and as a blogger. It just seems like a few weeks ago 2008 started and now it’s all over! I’d like to take this oportunity to wish all my readers, friends and family and Happy New Year and good luck on all your endeavours in 2009. I for one have so many plans that I am trying not to be overwhelmed. I have grown so much as an individual in 2008 and I am looking forward to a very good 2009! Happy New Year to you Kirk! 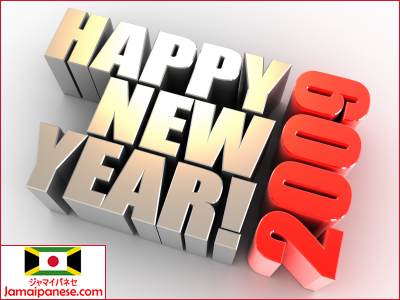 May 2009 be a more successful year for you! Love the graphic! Happy New Year. Looking forward to more great posts. @ Betshopboy…thanks and same to you! @ Leon…I didn’t make the graphic, bought it off a stock image site. I look forward to creating more great posts and Happy New Year to you too! Good luck to you and your blog!